A wooden plaque with a chalkboard heart. 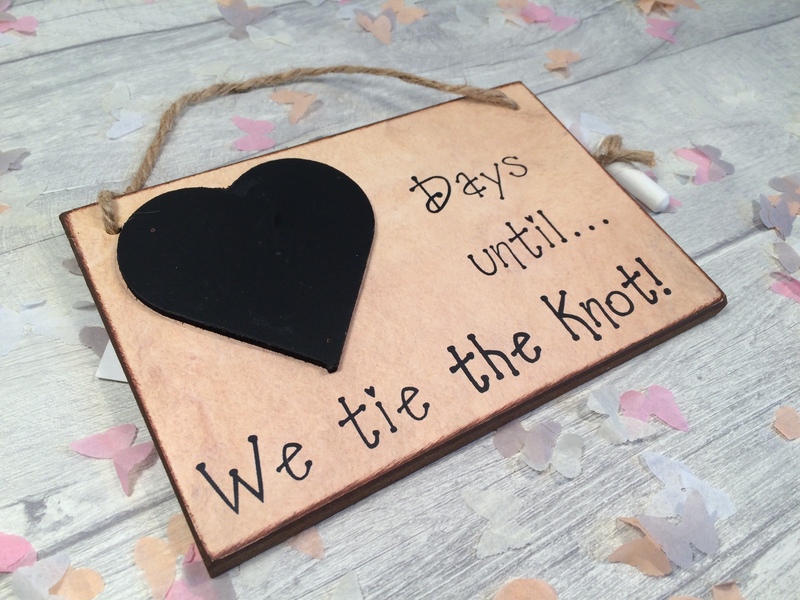 The perfect way to countdown to your big day! One chalk included.